Iceland changes quite vastly between summer and winter: in the summer everything is green and there's a waterfall at every turn. In the winter, everything freezes over and the views become all about ICE. 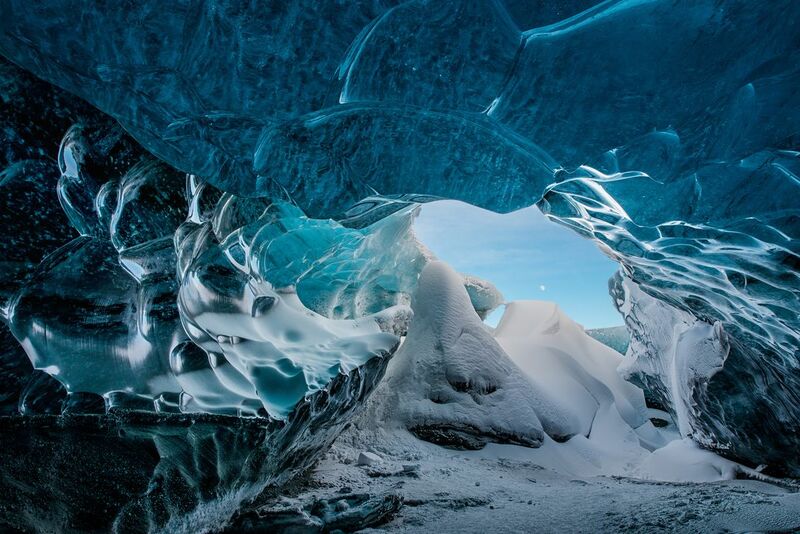 After a super jeep ride out to the Vatnajokull Glacier, I was treated to this amazing ice-cave view underneath it! Date Uploaded: Nov. 29, 2016, 11:15 a.m.